Fabric: Body/lining: 88% recycled polyester/12% spandex. Bottom hem: 86% nylon/14% spandex. Interlining: 80% polyester/20% spandex. Pad top fabric/pad back fabric: 100% polyester. Pad: 100% polyurethane. Very comfortable to wear and good support. Looks great. Wow! 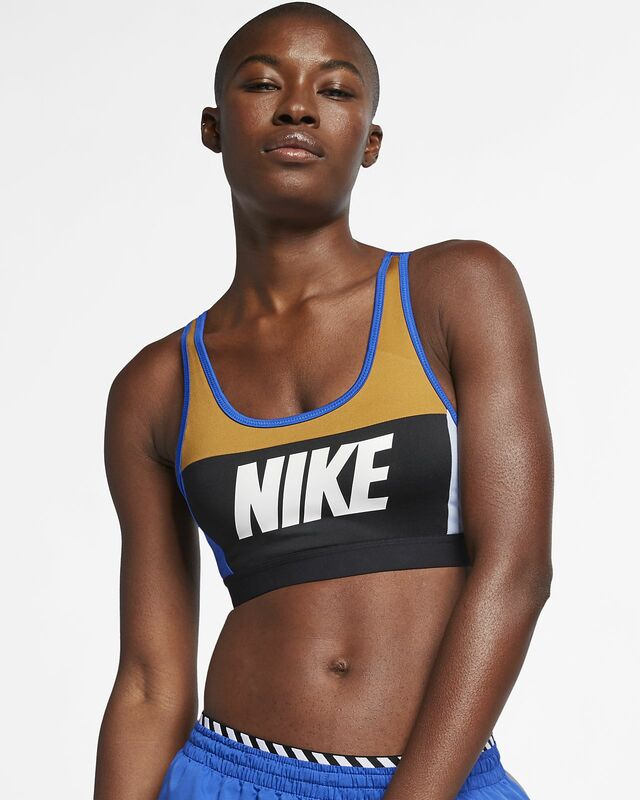 This is a fantastic sports bra!